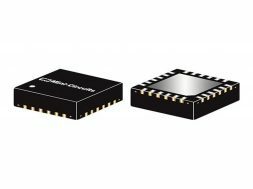 The company has expanded its product offering for high-frequency applications with the ANNEF-50V+ ultra-wideband 50 ohm termination. This model features a 2.4mm-F connector, supporting applications from DC to 50 GHz, including 5G systems, point-to-point radios, Ka- and Ku-band Satcom, and military systems such as ELINT and radar. It is capable of absorbing RF input signals up to 1W and provides excellent return loss performance over its entire frequency range with typical return loss of 41 dB up to 18 GHz, 30 dB up to 35 GHz, and 23 dB through 50 GHz. The unit features rugged construction and comes housed in a Cu-Sn-Zn plated brass case measuring only 0.61 (l) x 0.31” (dia. ), saving space in tight system layouts. It provides a wide operating temperature range from -55 to +100ºC, making it suitable for reliable use near high power componentry.